If you have never sent your creative writing out to a literary journal before, the experience can be intimidating. Many productive writers try to avoid submitting. But there is no real way around it if you want to get your work out into the world. The Reviews on this website can really help you know which journals are accepting now, and how they might interact with your work. But sometimes a little extra push is required, a little more confidence. 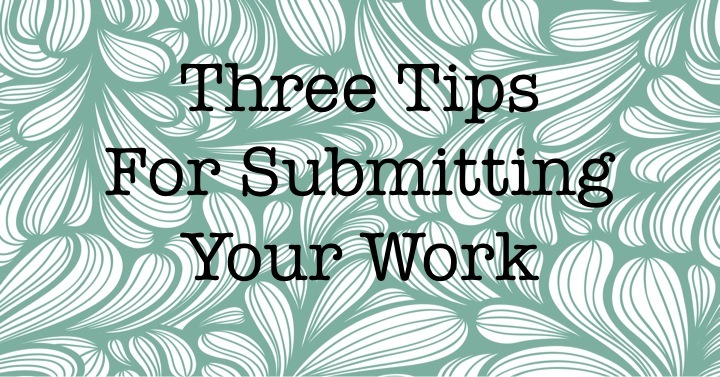 Below are three tips for submitting your work. If you have previously sent out work before you may still find it helpful. I have been submitting for four years now. My work has been widely published in over fifty journals and seven countries. After submitting for so long these three tips are still a touchstone for me. They always help me keep on track. My first tip is to set a submission goal for yourself. Set it somewhere that seems reasonable to you. Perhaps five submissions to different magazines per month. I often exceed my per month goal because once I reach that point, I want the feeling of accomplishment to linger. Soon those submissions will really start to add up. The more experience you have submitting the faster you get. So as you progress it gets easier. My second tip is to create submission packets. If you are a short story writer you don’t need to do this. Most journals only consider one short story at a time. However if you are a poet or a flash fiction writer, journals generally want between 3-5 of your poems or flash fiction stories to consider at a time. I have 5 packets that each contain between 4-5 poems. I always reserve two packets to submit to places that do not accept simultaneous submissions. The rest I submit to multiple places. My third tip is to keep track of what you submit and where you submit it to. I keep a word document that keeps track of which journals I have submitted to, what poems I have submitted to them, and when I submitted these poems. I also write down which poems have been accepted and where. I update this ‘submission tracker’ every time I submit. Otherwise I might submit to the same journal twice, or submit poems that have been accepted elsewhere, or any similar minor disasters. I really encourage everyone to submit your work to journals and to follow our tips. May your work be published in many places!